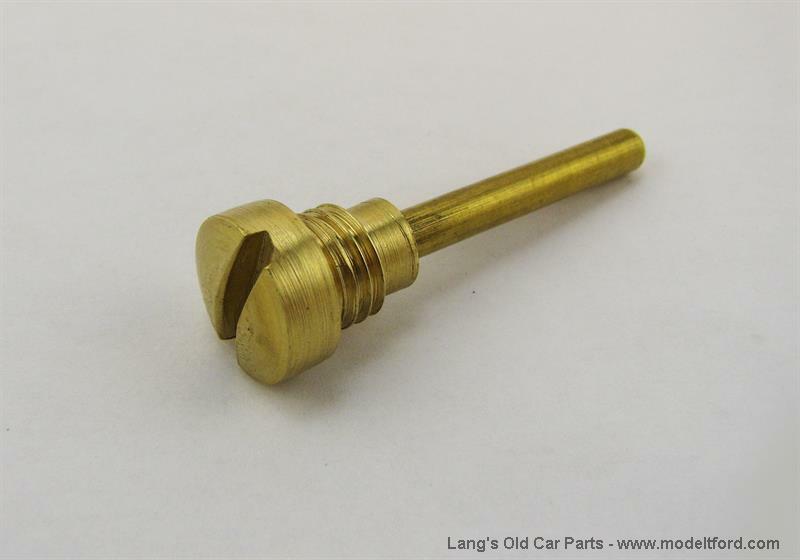 Fits the 1915-1919 Kingston L and Kingston L-2 carburetors. It threads into the side of the carburetor and the air valve pivots on it. This early style has a thicker head than later versions and the length from under the head is 1-1/2".